Sometimes the best things come from a spontaneous action, by jumping in to try something new, and working quickly. 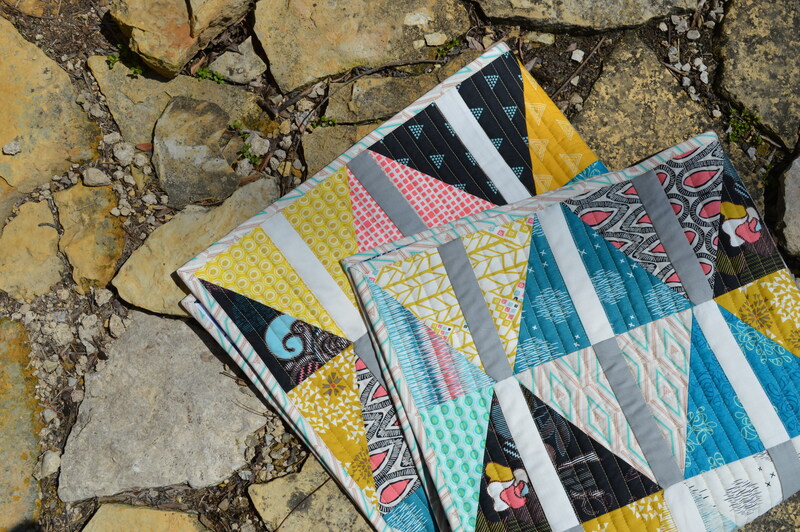 When Pat Bravo invited some sewers to create with her new fabric collection, Etno, from Art Gallery Fabrics, I sketched out a design, started cutting and sewing…and created an instantly favorite quilt (in record time for this slow sewer, too)! I was inspired by the ethnic, tribal feel of the fabric prints to try a new (to me) shape. 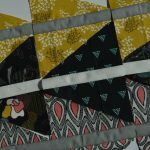 I felt like this triangle would be just right to show off the beautiful fabrics as well as create a dynamic-looking patchwork design. I added some Art Gallery blenders that I had in my stash, including the oval elements, prisma elements, squared elements and the solid gray and white to round out my palette for color and print. I used Hobbs Heirloom batting and Aurifil thread in a dark gold color to quilt straight lines across the length of the quilt. 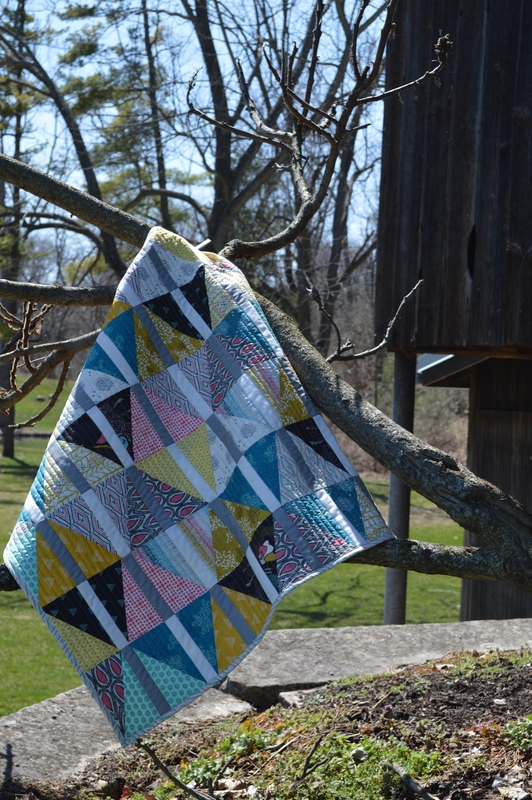 One of the fun things about making this quilt was playing a bit with the layout. It could have been done with intentional placement of the colors and prints in diamond shapes by matching up two triangles, or a completely different effect by arranging them flying-geese-style in rows of color (see that layout on my previous post, Here). 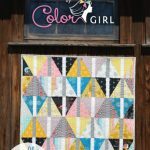 I am really a scrappy, random kind of quilt girl most of the time, so this final arrangement is definitely my favorite….I love the mixture of gold, pink and blue, and the unexpected pops of black thrown in. The Etno collection has some great blenders for adding to any quilt or sewing project, as well as some really unique designs. I think that pink and black paisley style print got the most comments from my posts on Instagram. 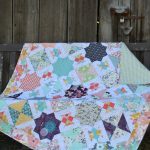 I am so happy to have the opportunity to be part of the blog tour and introduce this beautiful new fabric! You can see the other stops on the tour, Here. Many beautiful ideas for the Etno fabrics, including clothing, quilts, and fabric containers. Beautiful finish! This is a great quilt for showing off the fabric designs, and I really like the way you broke up the design with alternating stripes of solids. Love what you came up with. Boy, this turned out so lovely! I really like your design and the Etno is a perfect fit! Very nice photo shoot too! I love this one! It’s so graphic and modern! 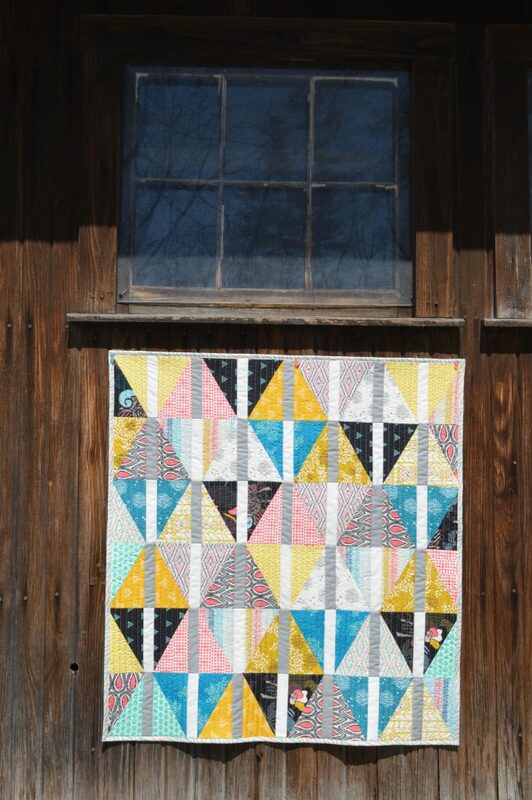 My absolute new favorite quilt pattern! This turned out so great with these the perfect fabrics!! Love it! I ditto everyone above!!! I wish my straight quilting looked that perfect. I love thus pattern and is fun to have it be a different style from you. I love this, and your bright fabrics are perfect all together. Gorgeous quilt!! 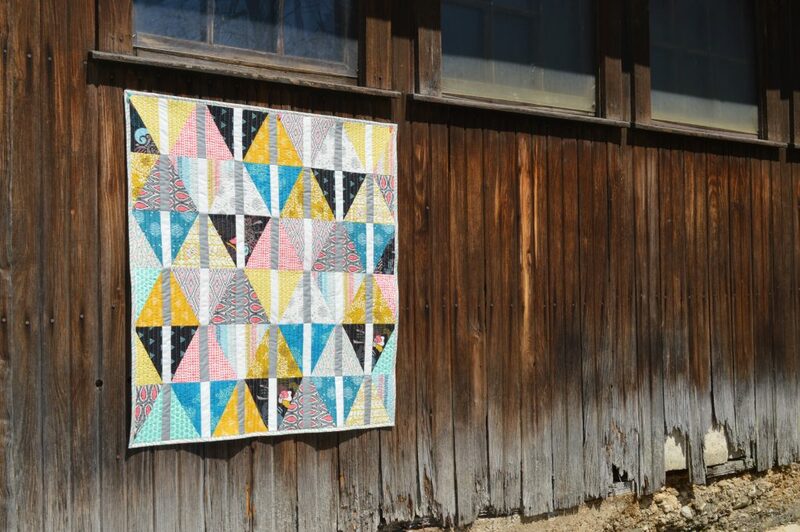 I love the triangles “broken” apart by strips – so cool! Really like the movement up and down the lines as well as the triangles – looks great! Love the fabric choices… Great job! oooh, this is cool. i like your fresh fabrics and design! I love the fabric and pattern. Gorgeous quilt.